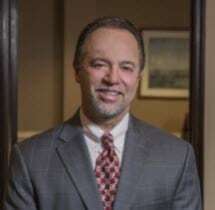 GERARD GLASS graduated from St. John's University School of Law, Queens, New York in 1984 and thereafter joined the Suffolk County Attorney's Office. He was elected to the Suffolk County Legislature and served two terms representing the 13th Legislative District covering the Lindenhurst and Babylon areas. At the age of 26, although the youngest member of the Legislature, Gerard Glass, served as the leader of the majority caucus. In 1987, Mr. Glass joined the firm of Glass, Lazio & Glass as managing partner. The firm was renamed Glass & Glass in 1992 when Rick Lazio was elected to the United States House of Representatives. In 2018, Gerard Glass & Associates was formed with Gerard Glass as managing partner. Representing a variety of corporate and individual clients, Mr. Glass concentrates on civil and criminal litigation, commercial matters, zoning and real estate transactions, personal injury and estate matters. Gerard Glass has handled thousands of real estate and business cases and has over 32 years of experience as a practicing attorney. Mr. Glass is general counsel to the Village of Lindenhurst and Village of Babylon and as special counsel to Village of Port Jefferson. He has served as special counsel to the Villages of Amityville and Mastic Beach. He is a member of the New York State and Suffolk County Bar Associations and is admitted to practice in all New York State Courts and United States District Court for the Eastern District of New York as well as the United States Court of Appeals. Mr. Glass has a Martindale Hubbell peer review rating of "BV Distinguished, 4.4 out of 5", meeting "very high criteria of General Ethical Standards." Author of Numerous Local Laws, ordinances and regulations in Suffolk County Including Co-Authorship of the "1987 Water Protection Act." Martindale Hubbell peer review rating of "BV Distinguished, 4.4 out of 5"